A haunting dream that will not relent pulls author Kent Nerburn back into the hidden world of Native America, where dreams have meaning, animals are teachers, and the "old ones" still have powers beyond our understanding. In this moving narrative, we travel through the lands of the Lakota and the Ojibwe, where we encounter a strange little girl with an unnerving connection to the past, a forgotten asylum that history has tried to hide, and the complex, unforgettable characters we have come to know from Neither Wolf nor Dog and The Wolf at Twilight. 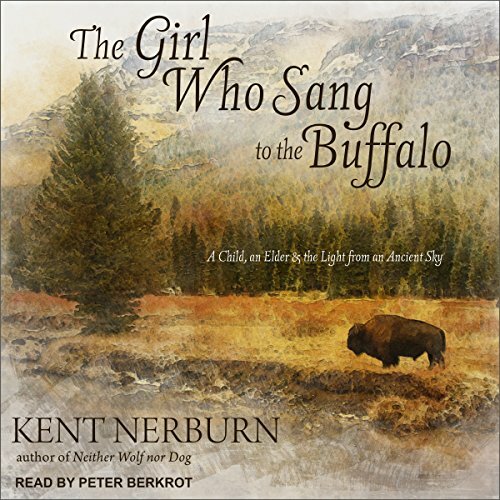 Part history, part mystery, part spiritual journey and teaching story, The Girl Who Sang to the Buffalo is filled with the profound insight into humanity and Native American culture we have come to expect from Nerburn's journeys. As the American Indian College Fund has stated, once you have encountered Nerburn's stirring evocations of America's high plains and incisive insights into the human heart, "you can never look at the world, or at people, the same way again."